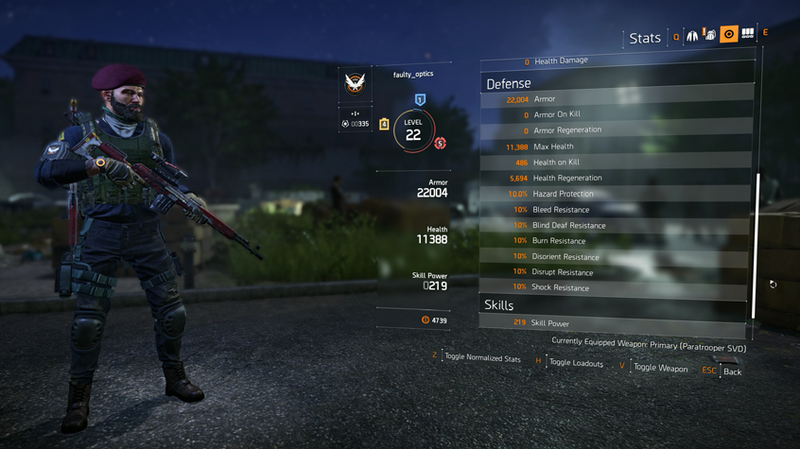 The world of The Division 2 is complicated enough before you start worrying about what all those stats and numbers actually mean. What’s the difference between Weapon Handling and Stability? Or between Hazard Protection and other Resistances? Fortunately for you, I’ve put together this complete guide to talk about what they all do. 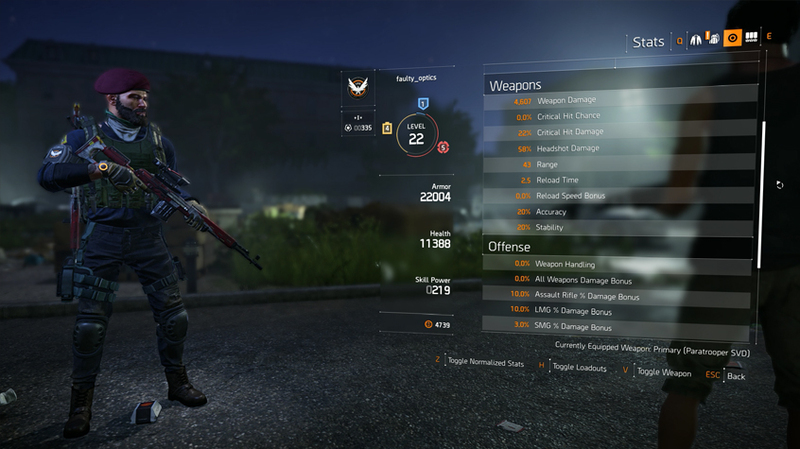 Today, I’ll be working through what all The Division 2’s stats actually do, and how they can help you. 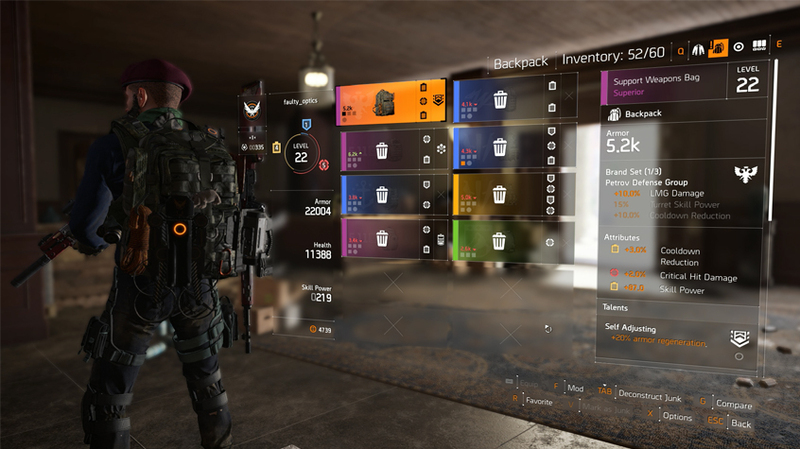 This guide is definitely for newer players, but a few stats have been changed in how they work in The Division 2, so it should be useful for most players. Firstly, the two stats you’re going to be wondering about most are Damage and RPM. Like most of the stats in the game, they’re quite self-explanatory. In this case, your total DPS is a complicated combination of the two stats in association with the other damage modifiers. It’s not as simple as looking at a weapon’s damage stat and picking the highest. 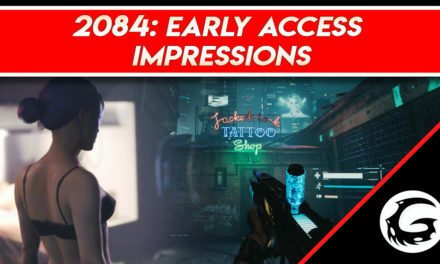 If that was the case, we’d all be rocking shotguns – and basically none of the endgame players are, for good reason. 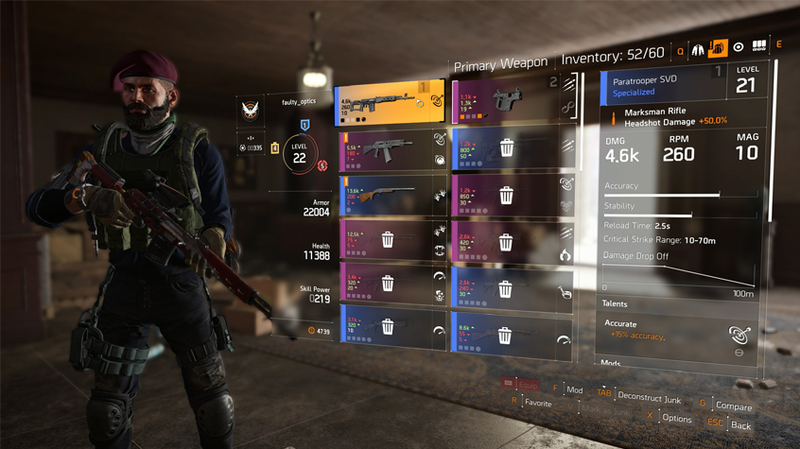 For the most part, simply looking at a weapon’s level is a good indicator of how good it is, but we’ve got another guide coming soon about how to understand exactly how damage works. Now, there are seven types of weapons; Assault Rifles, Marksman Rifles, Sniper Rifles, Submachine Guns, Light Machine Guns, Shotguns and Pistols. They are all affected by the +Weapon Damage stat, which will function as a flat boost to their DPS. Much like other stats, however, there are individual versions of this boost that are more specific to each weapon. Stats such as +Submachine Gun damage will obviously only boost that weapon type. Often, however, they roll with higher numbers. This means a build with more focused buffs can often be stronger that a more universal build. Damage can be a little confusing in the Division 2. You’ll also see the RPG classics rear their ugly heads, with +Crit Chance and +Crit Damage buffs. Crit chance is how often your weapon will inflict a boosted damage shot, and works separately to headshots. It shows in game as orange damage text, where headshots are red. Crit damage increase the boost that these crits give. Often end-game builds will have a significant amount of these stats to massively boost their damage. +100% of both would effectively double your damage, for example – so you can quickly see how valuable they are. There are also four more specific damage boost stats; Out of Cover Damage, Armor Damage, Health Damage and Damage to Elites. They all do exactly what they say on the tin. 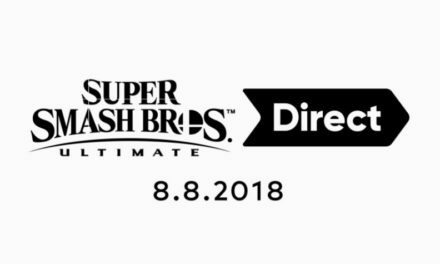 Arguably the most useful ones of the lot are +Health Damage, which is great versus all those regular enemies, and +Elites Damage, which will help you chew through those THICC bosses. Finally we have +Reload Speed and +Swap Speed. Again, they do what they say on the tin, and can be incredibly useful, if slightly minor buffs. Being able to swap to, and reload, the heavier weapons like LMG’s can be great, but most players would simply prefer more damage if they can get it. There’s a lot of stats to learn! There are also some quality of life, or usability improvements that can really help you out. These all fall under the wider category of Weapon Handling. Accuracy will improve the tightness of your reticule, thereby reducing the randomness of weapons fire (sometimes called bloom). Stability decreases weapon recoil and kick. Optimal Range increases the distance the weapon can be used before the damage begins to drop off, which can also be seen with a handy chart in the weapon’s stats. +Weapon Handling is also available as a stat, and will buff all of these factors, but often less than finding specific buffs (like +Accuracy) overall. Again, these buffs are easily understood, but it’s really worth knowing which ones are good for which weapons. 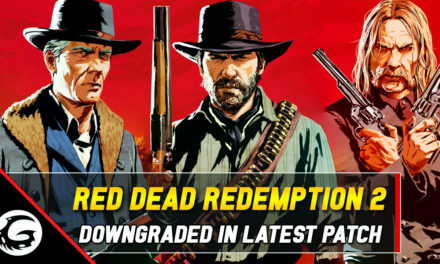 For the most part, you’ll want accuracy and handling for faster RPM weapons, and especially Optimal Range for short-range weapons like SMG’s. Handling in general is great for all weapons, but arguably accuracy is the best stat of the group overall. Defensive stats are mostly straightforward. OK, now lets move onto those stats keeping you alive. The two biggest ones are Armor and Health. Armor is the white bar on the top of your health bar, which can be replenished by using Armor Kits. Health is the orange bar underneath, which depleted only when you’ve run out of armor, and will regenerate slowly by itself when not being damaged. You can gets stats that restore these on kills, which show up as either +Armor on Kill or +Health on Kill. Arguably +Armor on Kill is really useful, but only really when playing Solo, as you’ll need the finishing shot on enemies in order to receive the benefit. These vampirism stats can indirectly make you much tankier, though, so watch out for them. Now, onto Hazard Protection. This is the wider stat that reduces the duration and damage of status effects, like burning or bleeding. You can also find these as more specific stats, like +Burn Resistance. Again, the wider stat (Hazard Protection) applies to all effects, but often rolls lower amounts than more specific resistances. And yes, you can stack enough resistances to become effectively 100% immune to certain effects! Finally for Defensive Stats, we have Protection Against Elites. This reduces the damage that elite enemies (those with yellow health bars) do to you. This one is nice, but absolutely useless in PvP and during most of PvE until you reach the bosses. As a result, you may as well avoid it unless you’re running Strongholds or missions with particularly tough bosses. In our last category, we have the Skill-based stats. For the most part, you’ll see ‘Power’ buffs. These actually don’t interact with your skills directly, so no damage increases or duration improvements. Instead, Skill Power unlocks access to certain improvements and mods. As such, you won’t need to worry about it for most of the campaign, and even afterwards only if you have a specific build in mind. The Power stats also comes in direct reference to each skill, such as +Drone Power. Again, these often roll higher numbers, but are less versatile buffs and require you to have the correct skill equipped to benefit at all. Finally, and arguably more importantly, we have CDR. Cooldown Reduction does what it says on the tin; it makes your skills ready again faster. This is a great stat, as it simply means more uses of those clutch skills. Effectively +100% CDR would mean a zero second wait for your skills, though we don’t know yet if there’s a ‘hard-cap’ that stop us stacking CDR that much. You can at least get to 70-80% for sure though, which is insane! Ok, so that’s a whole lot of stats to get your head around. Most of them are quite self-explanatory, with the more obscure ones generally being names for the wider group of stats, like Hazard Protection. Knowing what they all do is a great boost in terms of being able to spec towards playing your way, and learning them now sets you up super-early for exploring and enjoying full builds once you hit end-game. Don’t forget that we have a levelling guide to get you there as quickly as possible too! 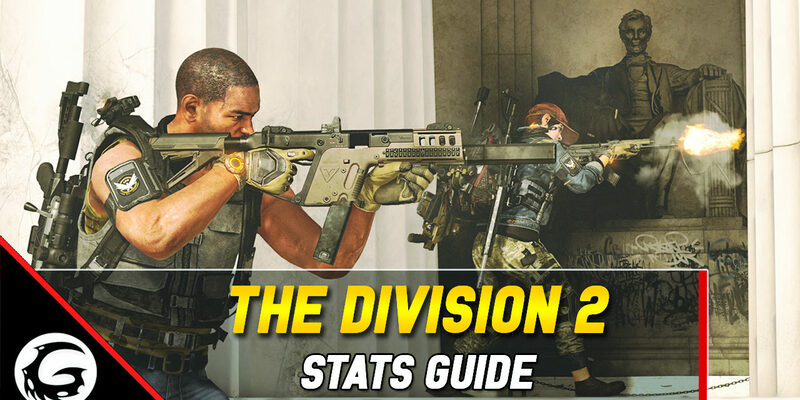 All right, that’s it for our complete Division 2 Stats Guide. Hopefully that helps you to understand exactly what all those buffs means and sets you up nicely to transition into the stat-filled end-game.